Getting a brand new WordPress website is exciting. You’re ready to start your project and kick off your brand new venture. It’s easily one of the most frequent questions we get asked. In this article, I’ll be breaking it down so that you get a completely clear understanding of how long it will likely take to launch your new website. So, exactly how long does it take us to create your new WordPress website? The quick answer is that websites that we create can take, on average, 8-12 weeks. Exactly how long will it take us? How long is it likely to take you? Yep, that’s right. In some instances, the length of time it takes us isn’t the correct question to ask. We find it is usually down to the client where bottlenecks can occur. Most of the time though, websites are likely to take longer resulting from issues that we cannot control. This is why we have created this guide so you can be prepared! For us to provide you with an approximate timescale, we’ll want to grasp precisely what you want from your brand new website. What further functionality are you likely to need that isn’t included within the core build that we offer? Understandably, the more functionality that you need us to build into your website, the more time it is then going to take to build. What extra functionality adds time to your website build? These are only a few examples of the sort of functionality that can add extra time to your website build. Online shop – we would design your online store from scratch which will then need your approval, plus we transfer all of your products, together with descriptions, pictures, inventory levels and so on. Functionality like a booking calendar, e-mail marketing integration, video library and so on. We understand that you really want your website to be the best that it can be and a few, or all, of those options, may be needed. Remember that any extra functionality you require, the longer it’s going to take to finish the project. Based on your exact requirements, we’ll make you fully aware of how long we predict it’s going to take to get your website live. Be very particular at the beginning of the project with precisely what you want. Understanding all the information you need upfront will enable us to build this into the product and provide you with an accurate timescale. Altering things, down the line, will delay the project even further. How many people will be involved in the project? If there is one thing we’ve seen over the years, it’s that the number of individuals involved in the project WILL influence the timescale dramatically. Dealing with one individual will probably be faster as there is just one particular person giving feedback and making decisions. Then again, if there are extra stakeholders engaged on the project, they’ll generate extra ideas and opinions. It is a good thing, as you get a wider variety of views and concepts. Nonetheless, it does take extra time to work through everybody’s opinions. If you’re part of a team who’s working on the web project in-house, attempt to have one key person who will be the key contact who will liaise with us all through the process. Coping with a number of individuals out of your organisation may cause info to be missed and feedback to be completely different. Attempt to get your team to agree internally with feedback and ideas before sending them over to us. On previous projects, we’ve been sent info from a number of team members with completely different ideas, which has delayed the website project. 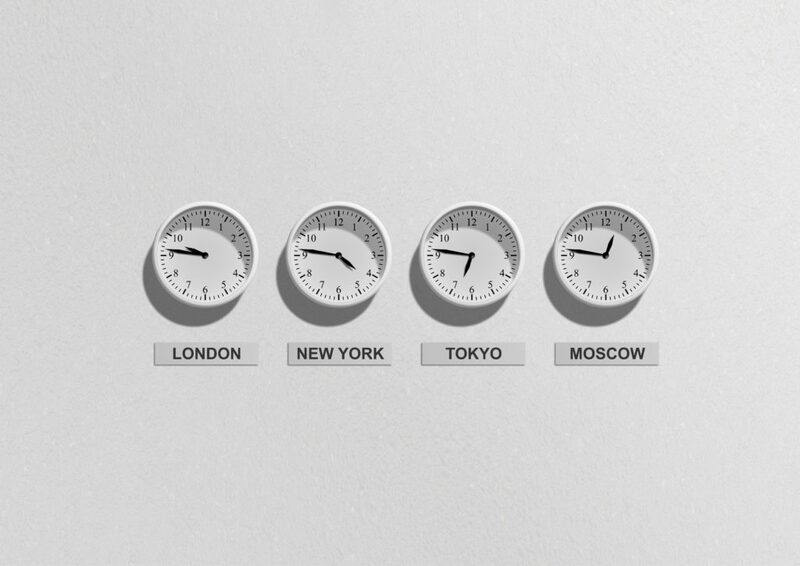 Exactly how long does it take for you to get back to us with design ideas? You need your website to be effective (we do too). Because of this, you may take your time getting your feedback back to us. Whilst working on your site, we will send you video updates, screenshots and emails. We will ask you questions, and we’d want you to provide us with some feedback in order that we will move on to the next part of the web project. The time it takes so that you can give us feedback can have an effect on the timescale, and in some instances, it could halt the project completely. On previous projects, we’ve waited two months for a client to tell us they have been pleased with their homepage design. It’s really important that you simply take stock before providing feedback on our draft designs. You should sleep on it and gather your thoughts the next day. It is surprising how a lot your inital thoughts and ideas may change the more you look at the design. Having said that, if it’s taking longer than a couple of days to get back to us, this may delay the design process. During the website design process, we’ll want some things from you to be able to finish the website. Previously, we’ve waited 12-18 months to get content material from clients. In the meantime, your project has completely ground to a halt. Try to be on the ball with getting us content. The faster we get what we need, the more likely is that the project will stay on deadline and be moving along nicely. I find a great way to organise content is to use Dropbox. What we do is create a shared folder that both myself and the client can access. We then create a folder for each page on the website. So we have a ‘Homepage’ folder, and ‘About’ folder etc. All the content for that page (both text and images) goes in this folder. This then keeps everything easily accessible and both parties are made aware of any additions or changes that are made to any of the folders. If you haven’t tried using this method, I can’t recommend it enough! The advantage of our process is that you get to see all web page draft designs in the browser. This is far better than seeing flat mockups, which more often than not, will not look the same when viewing in an actual browser. Nothing is finished without your prior approval. This way you can take a look at the drafts, make some notes, give suggestions and we’ll make amendments as needed. When you’re completely satisfied, we will then construct the web site primarily based on these designs. There are bound to be changes you’ll want to make to the project, and that’s fully understandable, however, these are often small tweaks that don’t really change the structure of the website. If we agree on a design and later down the road you completely change things like the design, this will definitely delay things and may even increase the cost of the website. The extra prep work you do in the beginning, the better foundation we have to build you a really impactful website. As we mentioned previously, it’s always best to take your time giving your initial feedback on preliminary designs. It’s vital that we have incorporated all of the functionality you want at this stage to avoid adding extra time to the project. Below I have included some examples of how long your web project might take based on your requirements. As you can see, how long it takes to build a WordPress website relies on many different components, and it could change dramatically throughout the course of the process. There really is no clearcut answer to how long it’s going to take to build a website. It may take eight weeks if we have every deliverable we’d like upfront or it may take 18 months or more if we are waiting on content. At least now you have a firm understanding of what is required to get a website launched as quickly as possible!